Connectors are made of a low carbon steel (RSt 34-2) - material No. 1.0034 to PN-EN 10305-3 electroplated with zinc – the zinc coating thickness: 8-15 μm and additionally protected with a passivating chrome layer. The zinc coating is hot applied. Standard „Press“ fittings in the KAN-therm Steel and Inox System are provided with EPDM rubber (ethylene-propylene rubber) O-rings satisfying the PN-EN 681-1 standard. For special applications Viton O-rings are delivered extra. All the fittings of KAN-therm Inox System within 15-108 mm dimensions contain LBP function (unsealed connections alert - LBP-Leak Before Press). 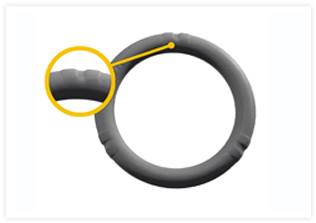 Within 15-54 mm dimensions the function is realized by a specially designed O-rings. With a special grooves LBP O-rings provide optimal control over connections during the pressure test. 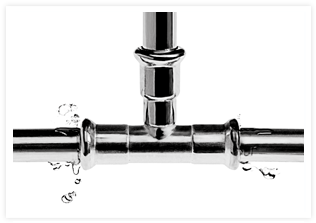 Unsealed connections are leaky and therefore easy to locate. 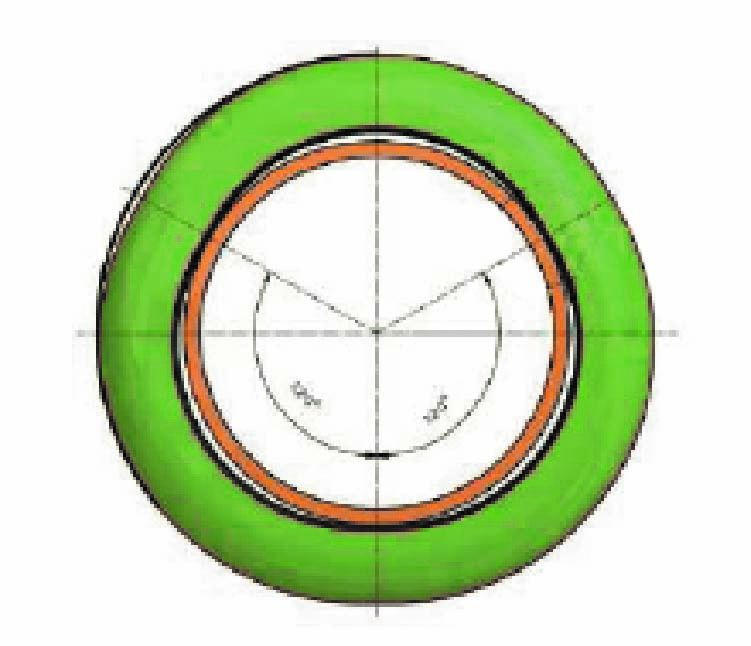 Within 76,1 - 108 mm dimensions the LBP function is realized by an appropriate shape of fitting (pipe connector ovalisation). The life of Inox system O-rings was tested by the DVGW Institute and according to these test this life should not be shorter than 50 years. The durability of O-rings was tested at the DVGW. According to these test their life should not be under 50 years.